NEW YORK -- Carlos Diaz has struggled to produce as a teenager in the Rookie-level Gulf Coast League the past two seasons, and he won't get a chance to turn it around until well into the 2019 campaign. The 19-year-old outfielder was suspended 56 games after testing positive for Boldenone in violation of the Minor League Drug Prevention and Treatment Program, the Office of the Commissioner of Baseball announced Friday. Boldenone is considered a performance-enhancing substance. In addition to Diaz, Brewers right-hander Franklin Hernandez was suspended 76 games after testing positive for Stanozolol and Cubs righty Braxton Light received a 50-game ban after a positive test for Amphetamine. 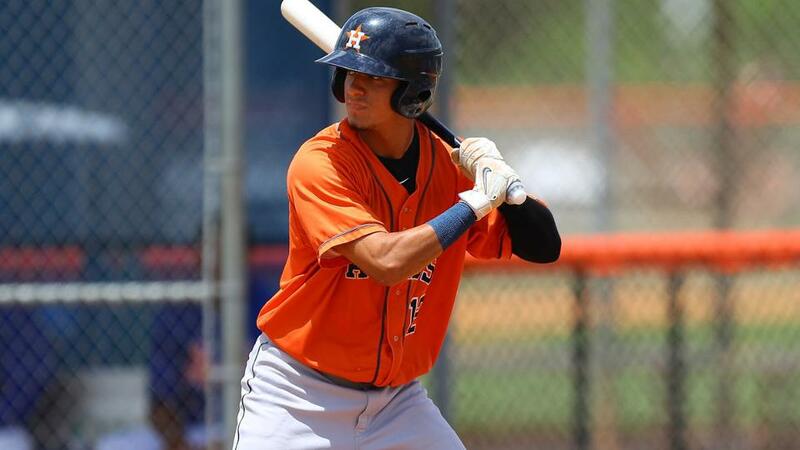 Diaz was batting .202/.278/.221 with six stolen bases and 14 runs scored in 29 games in the GCL. He played 19 games there last season and posted a .194/.229/.269 batting line. With the season wrapping up, he also will miss significant time in 2019. Hernandez posted a 2.53 ERA in five appearances in the Rookie-level Arizona League before earning a promotion to Rookie-level Helena, where he allowed two runs on three hits and one walk over 2 2/3 innings. He was selected by Milwaukee in the 37th round of the 2018 Draft. Light, a 2017 24th-round Draft pick, was 1-0 in the AZL and had thrown two scoreless innings, both of which came in the past 10 days. Sixty-three Minor Leaguers have been suspended this year for violating the Minor or Major League drug program.